MSI debuts 9 new colors for the Q Premium Natural Quartz Line ranging from Carrara Grigio to Babylon Gray. July 1, 2015 - Q Premium Natural Quartz from MSI is available in 9 new colors. The new collection colors lean towards popular new monochromatic tones, and timeless whites and grays. These new colors and patterns extend the Q collection providing on-trend and high demand solutions for homeowners seeking durable and stylish countertops for their kitchens and baths and other surfaces in their homes. Carrara Grigio, Montclair White, and Romano White are all reminiscent of natural marble or granite with white backgrounds and varying degrees of veining. Carrara Grigio Q Premium Natural Quartz fuses the elegance of Carrara marble with the durability of premium natural quartz, and is the lightest in tonal qualities of all the new colors. 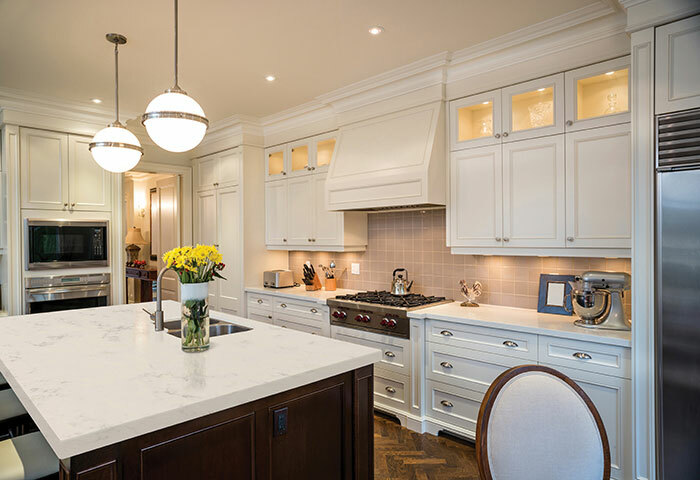 Montclair White, with its white background and tan and gray veins as well as Romano White, are perfect for kitchens and baths where lighter, yet still dramatic, countertops and surfaces are desired. Perla White, is the lightest and most subtle of the new colors; its beauty arises from subtle tonal veining, making it perfect for more contemporary or modern design projects. In this same contemporary look, at the other end of the color spectrum, MSI has added Babylon Gray, Fossil Brown, Fossil Gray, and Fossil Taupe to the Q Premium Natural Quartz line. These darker tones are inspired by natural limestone. Babylon Gray is the darkest in tone of the new colors, and it along with the lighter Fossil Gray lends themselves to more sleek and modern designs. Gray is one of the most popular colors in design today, and the new Pearl Gray added to the natural look collection highlights light to dark gray tones, with just a touch of pearl. The new browns added to the Q Premium Natural Quartz collection include the Fossil Taupe and Fossil Brown, featuring rich earth tones to complement contemporary design creating a beautiful monochromatic feel in a space. Like Babylon Gray and Fossil Gray, these colors are inspired by the look of limestone with subtle veins and specks to create a bold backdrop in kitchens and baths. 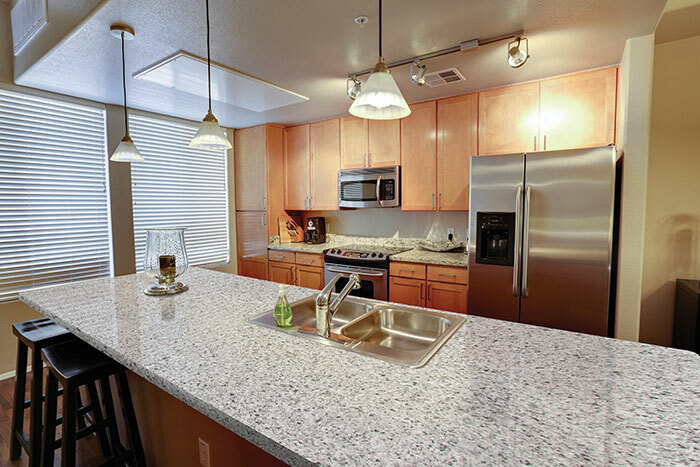 Q Premium Natural Quartz is durable, and naturally beautiful. 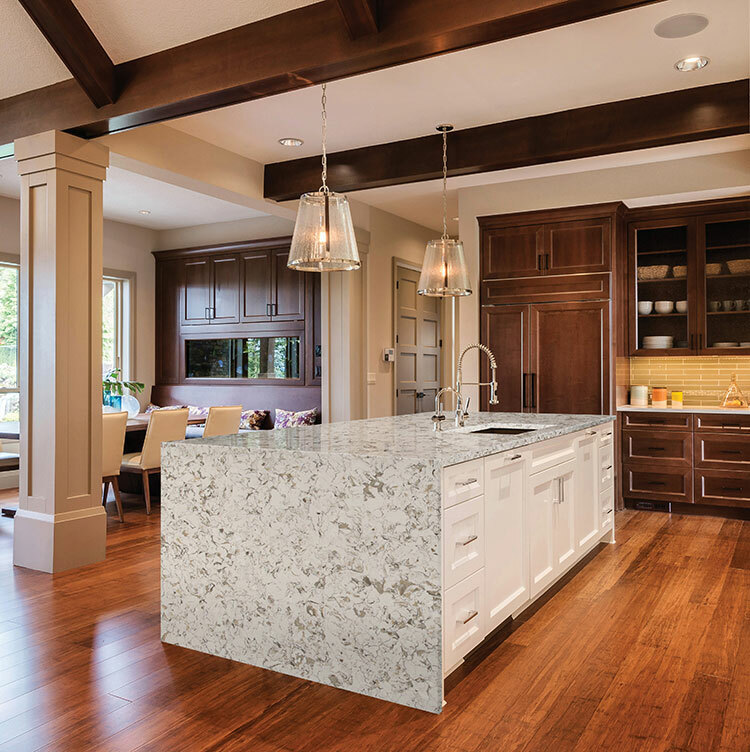 Natural quartz stone is one of the most durable minerals on the planet. Q is stain-resistant, scratch-resistant, and comes with a limited lifetime warranty for residential applications. It never requires sealing, reconditioning or polishing making it the ideal surface for busy kitchens and baths. Q from MSI is impervious to bacteria and other microorganisms; it is a hygienic countertop that is easy to care for and looks great. For more information on MSI’s Q Premium Natural Quartz collection, and to preview the new 9 colors, visit http://www.qfrommsi.com/.